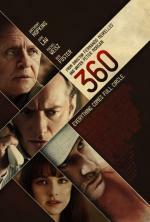 “The ever-surprising Brazilian director Fernando Meirelles toys with the audience in his latest film, 360. He unravels various storylines with many possible outcomes, most of them bad, then teases viewers with more hopeful possibilities. With a starry cast and multinational locations, you never take your eyes off the screen for a second.